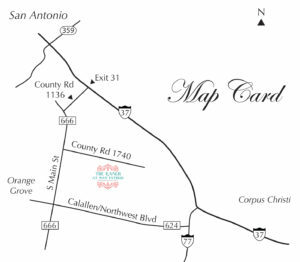 Find directions to the Ranch at San Patricio using the Google Map below. We hope you’ll come out and take a look around the Ranch, as well as plan your event at our event center! The beautiful facility of the Ranch at San Patricio in Corpus Christi awaits you!